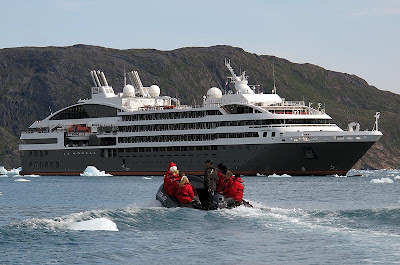 Attendees at these forthcoming Information Events will hear about the range of luxury and expedition cruises PONANT will undertake during the September 2016 through May 2017 period, plus receive a copy of the just-printed new brochure. New destinations include, for the first time, South Africa, the Scattered Islands and the exquisite Seychelles. Other destinations to be featured include Tahiti, Japan, South America, the Antarctic, Vietnam, Borneo, Melanesia, Caribbean and Latin America. 62 voyages, some luxury, others expedition, range from 7 nights to a grand 79 nights - something for everyone, including special Christmas and New Year voyages. All events have the choice of a 2pm OR 6pm presentation. Guests and travel agents are asked to register prior to attending by visiting http://bit.ly/PONANT-EventsNovOct15 or by contacting PONANT Sydney on 1300 737 178 (Australia) - 0800 44 32 62 (New Zealand).